Do You Really Need a Smart Phone? In the interest of getting more organized and staying on top of my life…I invested in an iphone last week. I’ve had the phone exactly 6 days, and I honestly don’t know how I kept up with anything before this! I really do need to see my emails the minute they arrive in my in-box, and when they require immediate attention, no matter where I am, I can handle them. 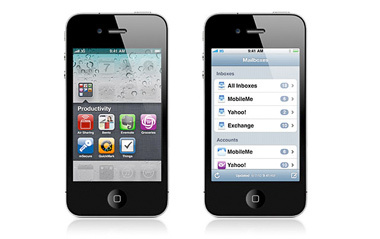 I need my contacts and phone numbers and calendar all in one location…and it does need to fit in my pocket! No more organizer and business card holder and notepad. The built-in GPS has already saved me three times! The built-in camera comes in very handy, and I was able to get rid of the small one I was carrying in my purse–which always had dead batteries when I needed it. I do need to know the weather anytime–the Weather Channel app is free and up-to-the-minute. I don’t have to try to type my texts anymore–the iphone has voice recognition and types it for me. Incredibly accurate. That’s a short list of why I love it…there are multiple apps on my phone already, and I use them all. If you haven’t gotten yourself one of these phones, do it today. COMPLETELY WORTH IT. If you’ve been wondering if you need one…YOU DO. Don’t wait like I did. I say again: Completely worth it!